Sometimes you end up paying more than you should when it comes to home security systems. Whether it is from lack of research or sheer convenience, there are ways to effectively invest in your home security without breaking the bank. Review these common home security mistakes to ensure you are getting the most for your money. • Mistake: Your first option was your only option. Don’t just go with the first company you find -do your research. Check out both local and national companies to compare rates and get free quotes when possible. This step will help you discover who truly values your security versus those looking for a big sale. • Mistake: You didn’t consider lifestyle changes. Aside from thinking about your current needs, you should also consider your future plans. For example, if you’re planning on growing your family, you may want more surveillance in the nursery. Or, if you’re single, you may relocate a few times before settling in to a spot, so you may want to inquire about cancellation or relocation services. • Mistake: You’re overlapping cameras. While the idea of having multiple angles on entryways and high traffic areas sounds safer, it could be unnecessary. Focus more on getting the best angles with the least amount of cameras. This will save you money on equipment and could make it easier to manage your system. • Mistake: You didn’t talk about discounts. When it comes to discounts, it doesn’t hurt to ask. 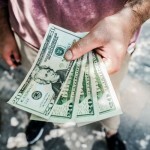 You could be missing out on special deals and offers, such as a Veteran or senior citizen discount, or you may even be able to work out a payment plan rather than paying it all up front. • Mistake: You haven’t updated your insurance. No matter what kind of equipment you choose, be sure to let your home insurance provider know. These systems may add value to your home, and could possibly save you some cash on your monthly payment. But before committing to system, you should check with your provider. • Mistake: You have more than you need. In relation to the overlapping cameras, you may have opted for the most comprehensive system when you really could do with a simple set up. Evaluate your needs, such as how many entry points you wish to monitor, and you can tailor your system accordingly. Remember that when it comes to security cameras, choose quality over quantity. If you’ve made any of these mistakes, you can still make them right. If you need help, please feel free to call us at 888-203-6294. We can help with surveillance equipment, site surveys, and security camera installation. Visit SecurityCamExpert.com to browse our selection and connect with us on Facebook, Google+, Twitter, LinkedIn, and Pinterest. As a business, you want to provide a sense of security and safety for both your customers and employees. So long as you continue to provide secure transactions, and safeguard your property and assets around the clock, you afford your business the opportunity for continued success. You can achieve this level of protection with the right business security camera system. Without a proper security system, you leave your business at risk for theft, vandalism, and other criminal acts. And statistics unfortunately show that businesses are more often targeted than homes. A business security camera system tailored to your specific needs will improve security, provide evidence as needed, and may even lower your insurance premiums. Despite these benefits, businesses still put themselves at risk by either failing to invest in security cameras or choosing outdated security systems. These actions are often rooted in common misconceptions regarding security systems, such as these. Myth: Security systems are too expensive. While they may have had hefty price tags in the past, nowadays there are plenty of high quality and affordable security camera systems on the market. By opting for higher quality systems, you are less likely to encounter performance issues and costly repairs. Also, the cost of security systems hardly compares to the cost of replacing stolen items. According to the U.S. Chamber of Commerce, employee theft alone costs an estimated $20 billion to $40 billion per year. Myth: Any security system is better than no security system. While shortcuts may be easier, installing dummy cameras or only a few real security cameras still leaves your business vulnerable. Areas may go unmonitored, allowing for any misconduct to go unnoticed. And with an outdated security system, you may come across issues left and right. Inconsistent performance may mean that break-ins or incidents go undocumented, leaving you with no evidence. Myth: It’s just too complicated to update your security system. Some believe that upgrading and updating security systems may take too much time, money, and resources. However, with the right approach, it doesn’t have to be. Aside from updating your network, installation can be rather simple, especially if you hire a professional company. Informing your staff about the change and keeping them in the loop will help the process go smoothly and quickly as well. If you are still hesitant about investing in a business security system, or have any questions, please feel free to contact us at 888-203-6294. Our representatives will be happy to assist you and provide you with a free quote. You may also browse our inventory online at SecurityCamExpert.com, and connect with us on Facebook, Google+, Twitter, LinkedIn, and Pinterest. Some people may opt for traditional security cameras for home security, but the landscape is changing. 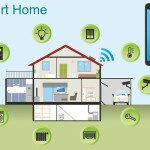 The emergence of connected devices has spurred the popularity of smart homes and the Internet of Things (IoT). However, as we connect more technologies and devices, we may be putting ourselves at a greater risk. Most people have heard of the term, but those who haven’t may not even realize they are a part of it. Whether you own a smartphone, smart TV or even a tablet, you are connected to the Internet of Things. And if you are investing in smart home appliances, you are absolutely connected. Because of this, smart homes tend to be more susceptible to threats thanks to the lax cybersecurity measures (if at all) of most smart appliances. Even if other devices, such as smart thermostats, garage doors, or fire alarms, may have stronger security measures, if they share the same network as other, less secure appliances they are vulnerable to exposure and attacks. In order to protect users and their own reputations, smart appliance manufacturers must take cybersecurity measures seriously. For your own safety, research the products you are interested in and be sure that their security measures meet or exceed your expectations. One of the main problems with smart security technology is the do-it-yourself approach. Most consumers are drawn to DIY solutions because they seem to be more cost-effective, user-friendly, and cut out the need for professional installation. Unfortunately, mistakes made by the user could further compromise their security. While these smart technologies indeed promote security and convenience, you may want to tread lightly. Consider the pros and cons of transitioning your home into a smart home and be sure to do your research and take the necessary precautions to ensure that your devices and systems are as secure and up-to-date as possible. 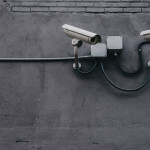 If you are weary of these smart security measures, you can always go the traditional route with security cameras and CCTV surveillance systems. 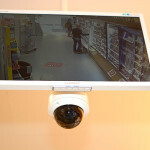 Visit SecurityCamExpert.com to shop our selection or call 888-203-6294 for more information and a free quote! You can also find us on Facebook, Google+, Twitter, LinkedIn, and Pinterest.